Today I have a DIY rolling work bench project video tutorial to share with you. Mind you, this isn’t any DIY rolling work bench, this is a very easy rolling work table I made from a plain old table I picked up on the side of the road! 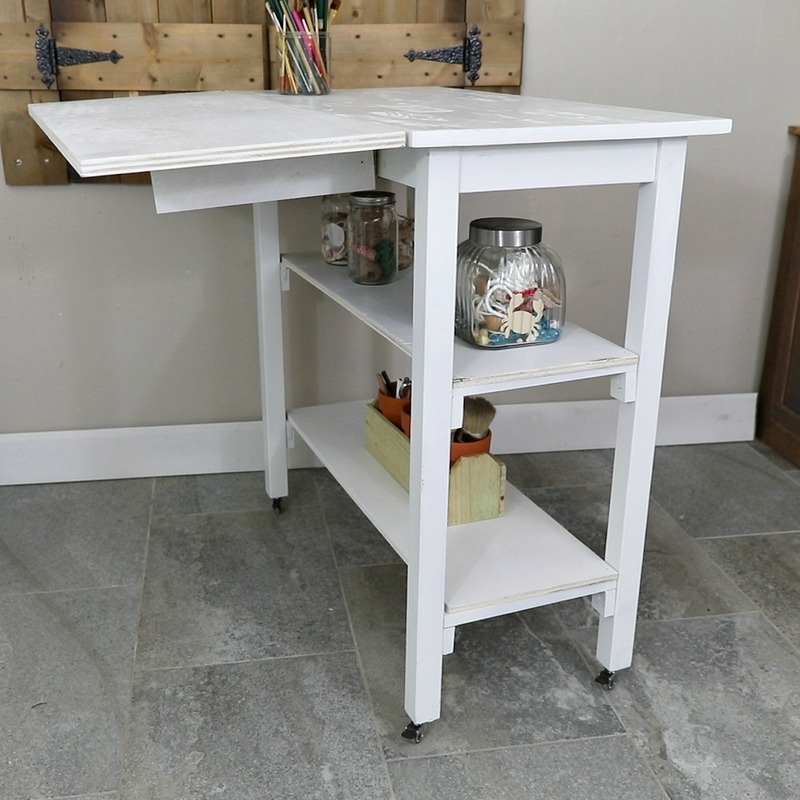 Yes, I repurposed a cast off table to make this rolling work cart with shelves and added a drop leaf to make the workspace larger for bigger projects! 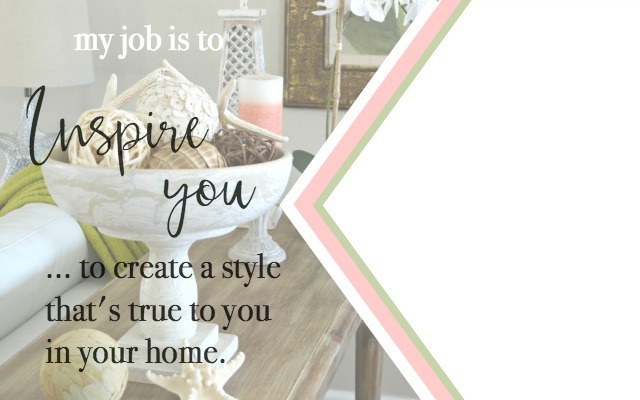 It’s one of the many Creative DIY Shelving Ideas for Organzing and Styling your Home that I’ve shared on the blog. Why make a rolling work table? I’ve been using this table in my office studio for several months. It was a great height to work on but the top was small and it was really heavy to move around! I’m still recovering from shoulder surgery and knew I’d need a way to easily move my work around and keep it at a good height once I started working again. I’m almost ready t start work (limited), and couldn’t wait to share how easy it was to upcycle this old table into a rolling work table. I can now easily move it around my office studio, put the drop leaf up when I need more space and then tuck it all away when I’m done. 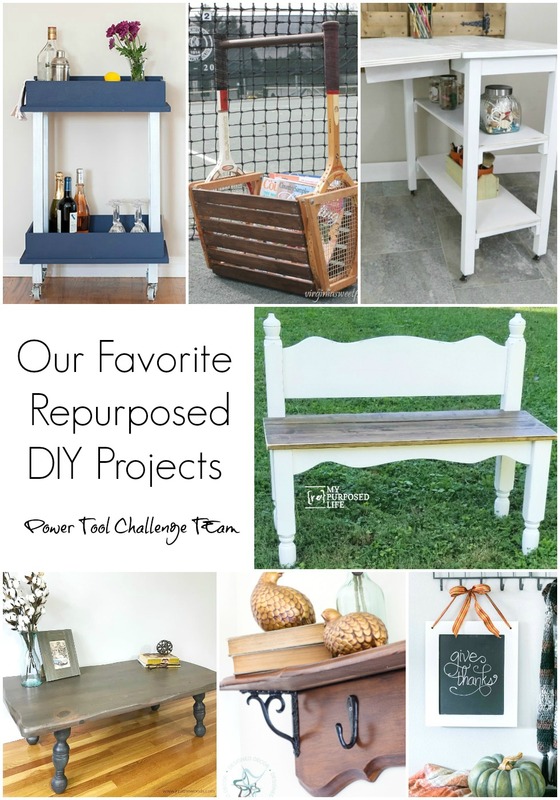 Today is also the kick-off of the Power Tool Challenge’s annual Reader Challenge where we invite our readers to share an upcycled project they made using at least 1 power tool. 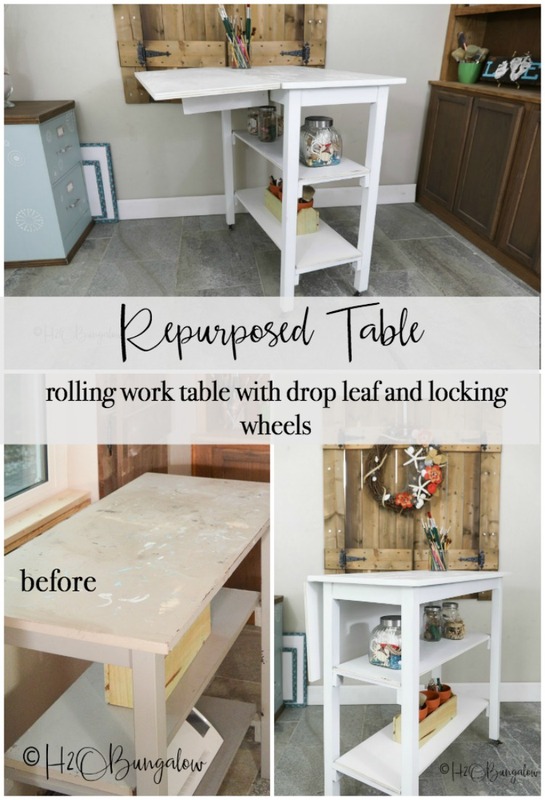 You’ll see what my team mates made and find the details on how to enter your repurposed project for a chance to win a fabulous prize below my DIY rolling work bench video tutorial! Supplies I used to turn a table into a rolling work table. Turning a table into a rolling work bench isn’t hard to do. 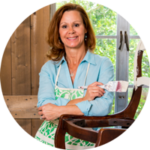 I can give you exact measurements since each table will require different sizes of items. 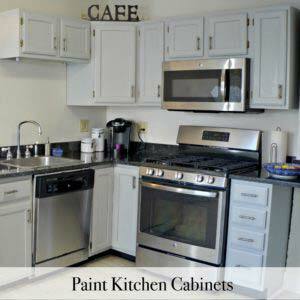 What I can do is share tips on how to turn a table int a rolling work work table or cart with a work surface. Take a look at my video tutorial to see how I made my rolling work bench. 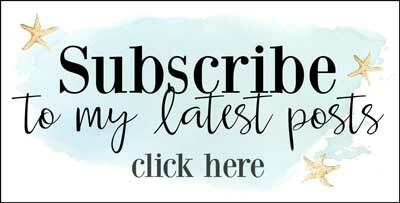 Don’t forget to scroll down to see what my friends made and how to enter a creative repurpose project you’ve made! H2OBungalow DIY Rolling Bench From A Work Table – That’s me! Now it’s your turn dear friends, we want to see what you’ve repurposed! Your project must be repurposed or upcycled from something. You must use at least 1 power tool in making it. We’ll accept project submissions until midnight on Nov 1. You must be 18 years or older to enter. This contest is open to residents of the US and Canada only. Each person can add to 3 entries. All entries will be voted by the Power Tool Challenge Team and HomeRight. 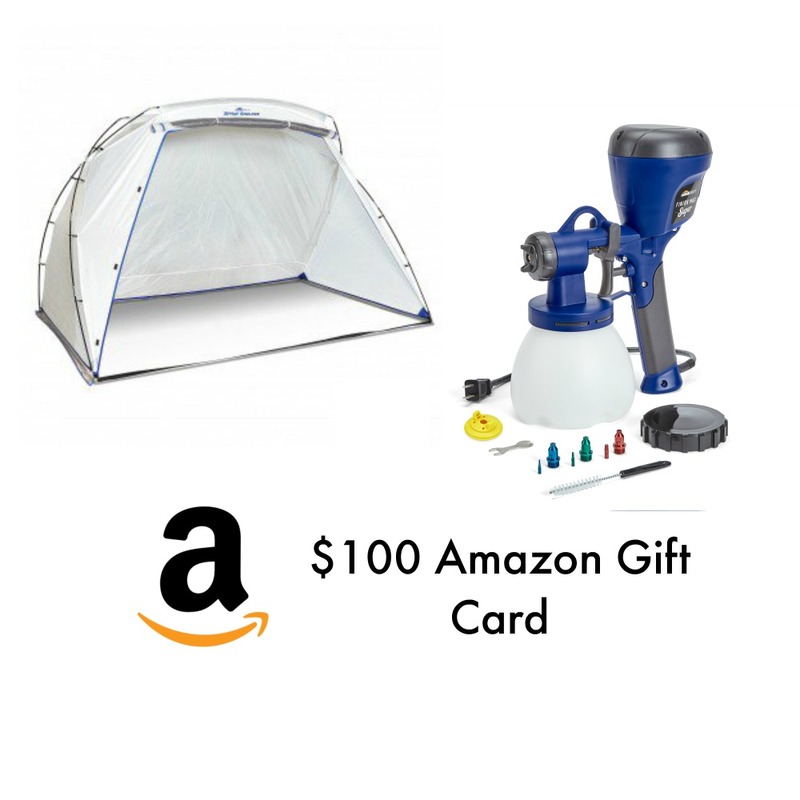 There will be two winners, Best over All Repurpose and one Randomly Selected Winner. 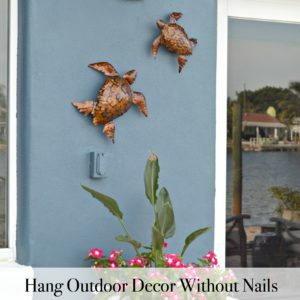 Add your links here in the InLinkz Link-up below or feel free to share a picture of your repurposed projects on my Facebook post here and I will add them for you. You must name your project so I know what to call it! If you’d rather just send me your photo, go ahead and send it to admin@H2OBungalow.com and we’ll upload it for you. What do you think? Have we motivated you to upcycle or repurpose something discarded into something useful? I cannot wait to start using my DIY rolling work bench! What a great idea! I’d love to have one in my office… so smart! Hi Maryann! I’m so glad you like my table turned rolling work cart idea, it’s going to be so useful! That’s a great little project. I actually need a small island for my small kitchen and this would be a good way to go. Thanks! I’m also going to put a DIY page on my blog, soon. Would you mind if I add a link to some of your posts? Hi Cheryl! Im so glad you like this project! This would be great for a kitchen island too. I can’t tell you how useful and handy this rolling table has been so far for me already! Yes, you can absolutely link to some of my projects, please mention my blog name in your link. Thanks so much for asking! 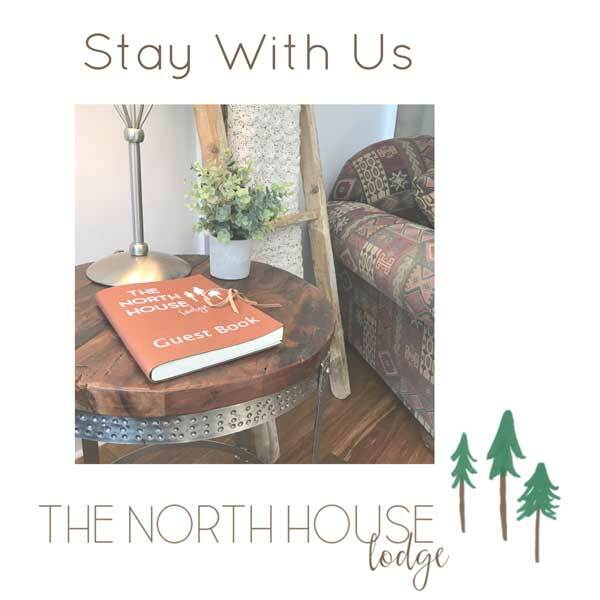 Thank you for your note and your visit! Good luck with making your kitchen island! 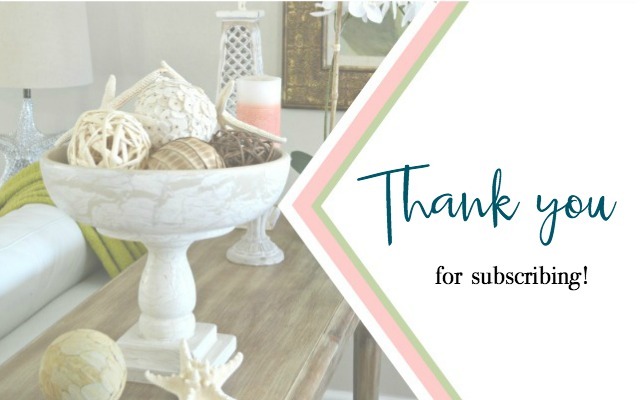 I will absolutely link to your blog when I get that DIY page up and running! There’s no shortage of ideas here and I’ll be happy to share them. What a great roadside find and you found the perfect use for it. It’s going to be great to be able to stand to work and to be able to easily roll your cart to exactly where you need it for the project that you’re completing. Hi Paula and thank you! I can’t wait to use my new cart. Yes, I love that I can tuck it away when I’m done using it and it looks nice! Awesome job Wendi! 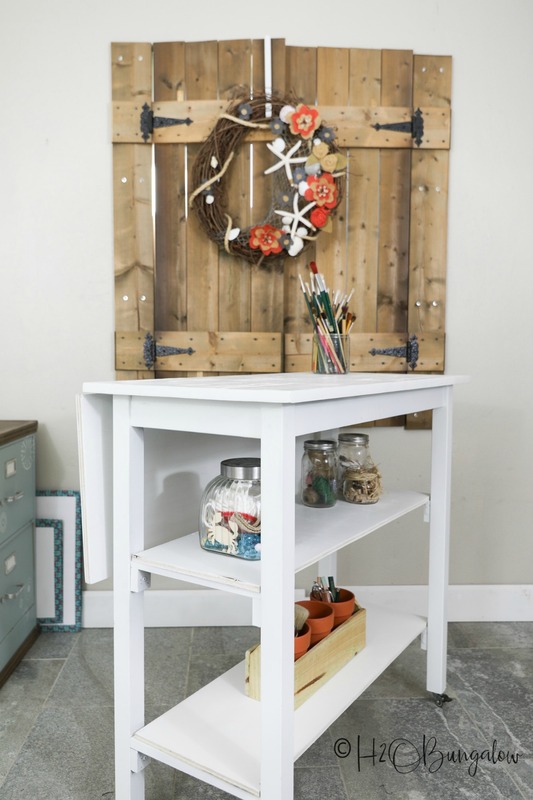 A rolling work table/cart works in so many areas of the home. Hi Gail and thank you! I love my rolling cart! Can’t wait to use it. Plus, when it’s hotter than can be outside I can work indoors which is huge in FL! Love the idea of the flip up and making it roll. This table is a perfect idea for any office space or kitchen.